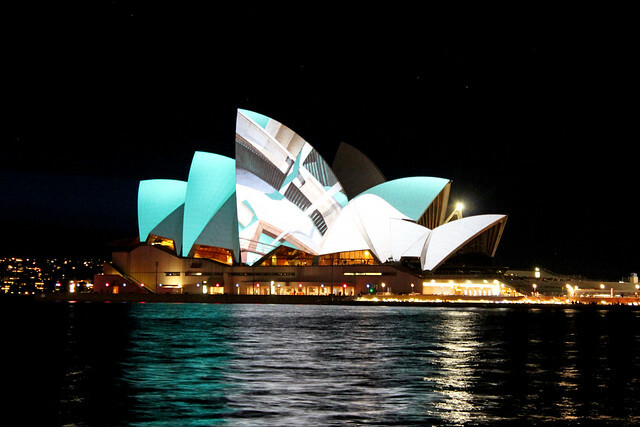 We were lucky to be in Sydney for the annual Vivid Festival. 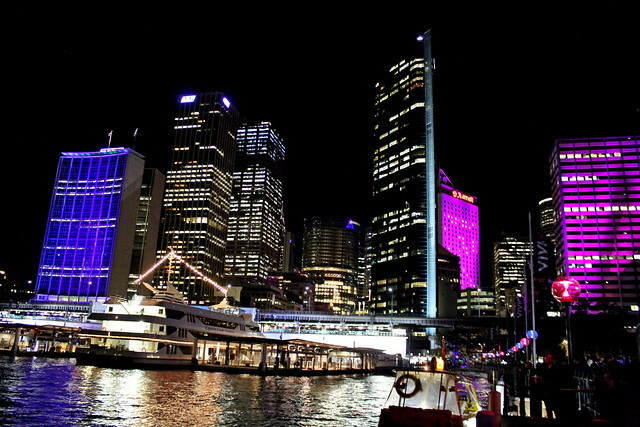 Vivid transforms the Sydney waterfront with a beautiful, musical and, well, vivid display of light installations. 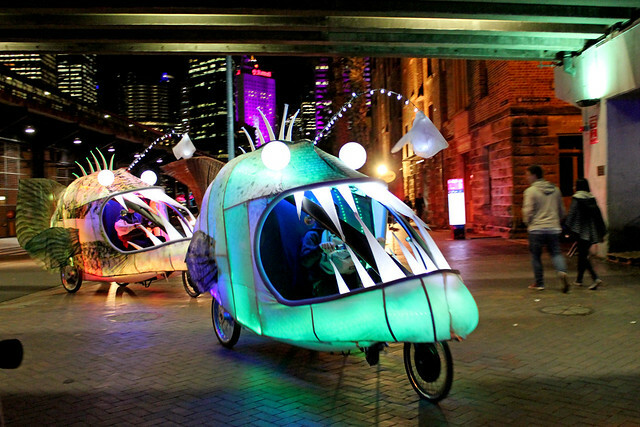 We especially loved the glowing anglerfish pedicabs, which looked to be consuming their riders. 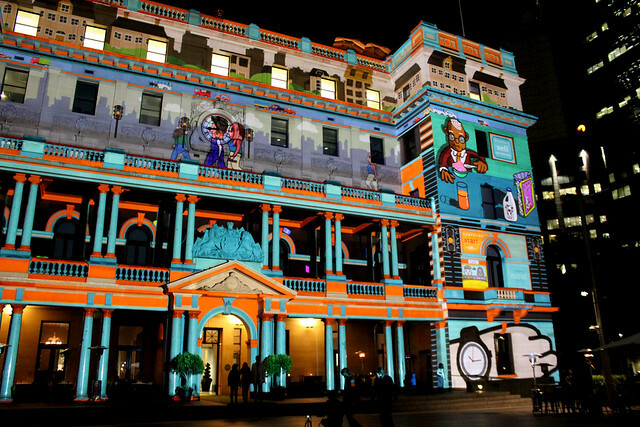 Our absolute favorite, however, was the display on the customs house. The short projected video, called "City Life" and designed by The Electric Canvas, was unlike other building projections I've seen. It was tailored specifically for this building, so that every pillar, every brick, and every window had its part to play. 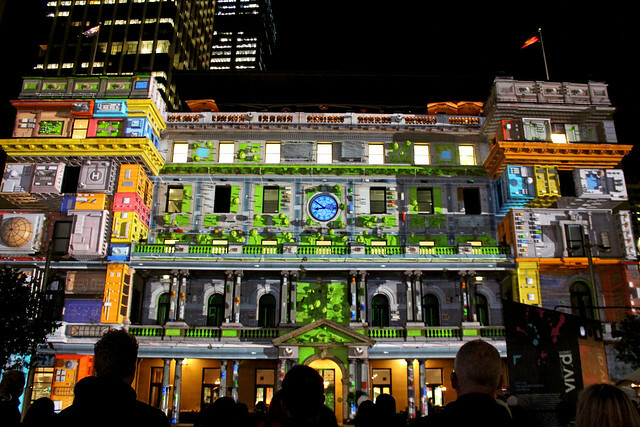 As the scenes moved, the building and light were truly used as an electric canvas. 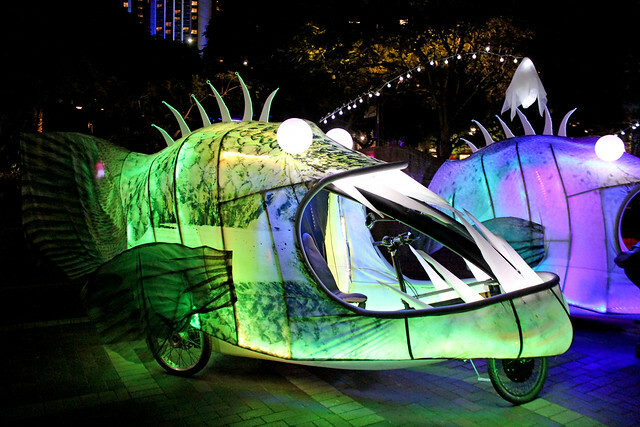 For more about this spectacular event, including photos and videos, see the Vivid website.